On this long Memorial Day weekend, Americans stop to remember and honor those who made the ultimate sacrifice in defense of our nation. 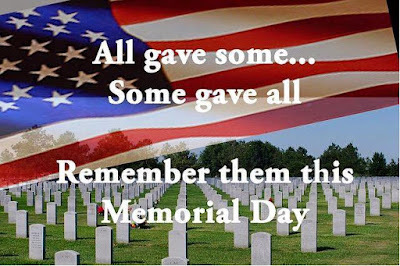 It is their sacrifices that helped to preserve the freedoms we cherish and enjoy today. Sadly, there are too many people in our country who take freedom for granted, or who naively despise the blessings of liberty. Worse yet, there are those who actively work to limit our freedom. As we pause to remember our lost heroes, may we also vow to be steadfast in our opposition of those who wish to destroy that which has been so painfully won. As you enjoy time with family and friends over this weekend, please take a moment to remember those men and women who made the ultimate sacrifice.